Conover Metal Products, Inc. was established in 1972 and has fabricated and furnished quality steel and metal products to hundreds of satisfied contractors and customer's in Western North Carolina and in the Southeast Region of the United States. At Conover Metal, QUALITY and SERVICE are our top priorities. We strive to make our customer's projects successful and something to be proud of. 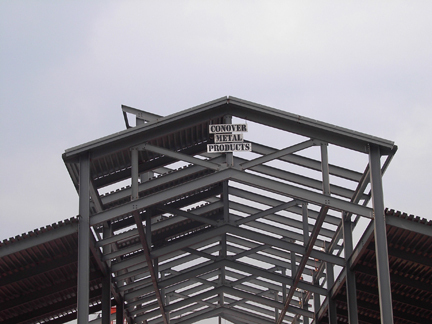 Conover Metal Products specializes in Quality Fabrication of Structural Steel, Miscellaneous Steel Items, Steel Stairs, Handrails, Plate Shearing, Plate Bending, and fabrication of Reinforcing Bars. We also are a supplier of Steel Bar Joists, Joist Girders, Long Span Joists, Shop Fabricated Special Trusses, and Quality Decking Structural Products. 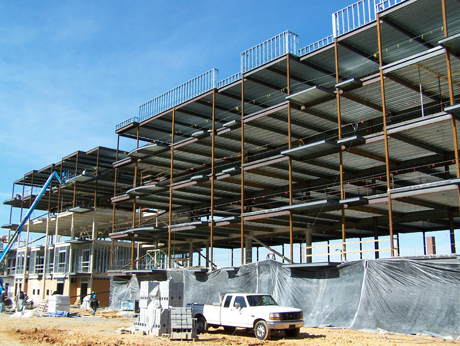 Conover Metal Products is Certified by the American Institute of Steel Construction. The AISC Classification for Conover Metal is Building Standard.